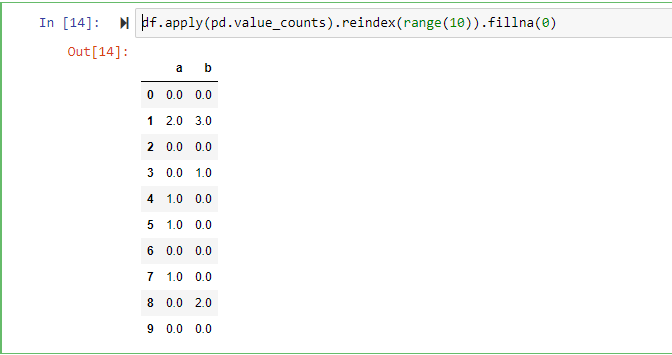 That means I just count the number of occurences of the values 1 to 9 for each column. How can this be done? I would like to get this format so that I can apply afterwards df.plot(kind='bar', stacked=True) to get e stacked bar plot with the discrete values from 1 to 9 at the x axis and the count for a and b on the y axis. Alternatively, using a list comprehension instead of apply.